The Recycle Right Campaign will be a major focus for the next 30-60 days. It is sometimes difficult to keep track of what is and is not recyclable, which decreases the amount of recyclables captured and increases the amount of contaminants in recycling containers. The end result is we’re sending way too many recyclables to the landfill. What is the Recycle Right Campaign? Signage. Improvements to signage to ensure they include the materials employees interact with most. Ensure signage is widely deployed. Recyclable list. 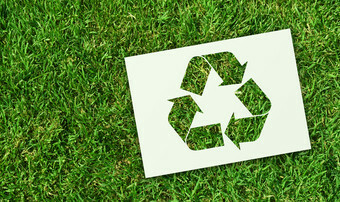 Create an ever-growing “Is it recyclable?” list on the intranet. Recycling FAQ. List of FAQs and answers on the intranet. Recycling quiz. Letting employees test their knowledge and compare scores. Ambassadors. Sustainability Ambassadors are trying to visit as many departments/units as possible. *Composting pilot ... coming Soon to 825 Cafe. Results will help us understand whether or not it could be expanded throughout the system. For a full list of what is and isn’t recyclable, click here. And for more information on our sustainability efforts, please visit the sustainability section on the Integrated Services page on the intranet.